Once you have the files on your PC you then have the option of converting them to DVD. Even though you can view the files in MPEG-2 or AVI format (AVI files are often associated with video footage taken with a digital camera) on your Windows Media Player, they still need to be converted and then burned onto a DVD as DVD players do not use the same file types as a PC. Firstly, you won’t get any further if your PC doesn’t have a DVD writer. If you’re just starting out, you should ensure that your DVD which is built into your PC has ‘writing’ (recording) as well as ‘reading’ (watching only) capabilities. 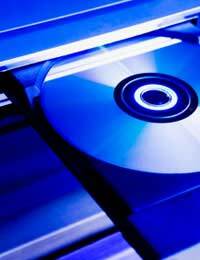 If your PC does not have its own DVD writer installed, you can download any number of DVD writers and burners from numerous websites on the internet. Many of these will be advertised as free but beware that their use may either be restricted to only writing a portion of a file, or it may be a full version but only limited to a trial period, after which you’ll be required to purchase the full version or its capability will cease. This is, however, a good way of test driving a number of different writers and burners without financial obligation to see which one suits you best if you don’t have one already. In addition to the DVD writer/burner, you’re also going to need video file conversion software if your files only show up as MPEGs or AVIs without creating a VOB file. If there’s no VOB file, whilst you will still be able to view your videos on the PC, you won’t be able to convert them to a DVD. There are several programmes that enable you to do this. You’d be prompted to add your file to a list to be converted to DVD and then click on the start button. Once that’s completed, if you return to the folder (or its associated folder), you’d then see an additional sub-folder entitled something like DVD_01 within which you’d then see a number of VOB files as well as others with different file extensions. You’d then open up your DVD writer/burner and add this sub-file DVD_01, or similar – (the folder containing the VOB files) and then click on ‘burn’. The important thing to remember here is not to try to burn the MPEG itself as your writing software will probably notify you of your error anyway by saying it’s an incorrect file. It’s the converted file to DVD (the sub-folder containing the VOB files) which is the folder you need to add for burning. Once you’ve done that, the process is complete and if you open up the drive containing the DVD, you should see it contains two folders AUDIO_TS and VIDEO_TS in which are the VOB files. Once you’ve got those on the DVD, you can then remove it from your PC and play it on any standard DVD player. Technology and formats differ, however, in the world of camcorders and today, actual DVD camcorders allow you to record directly onto the DVD itself which means not having to go through the rigmarole of converting and burning your home video before you can view it on an external DVD player. If you’re still in doubt about what to do, any good camcorder store should be able to give you a demonstration.